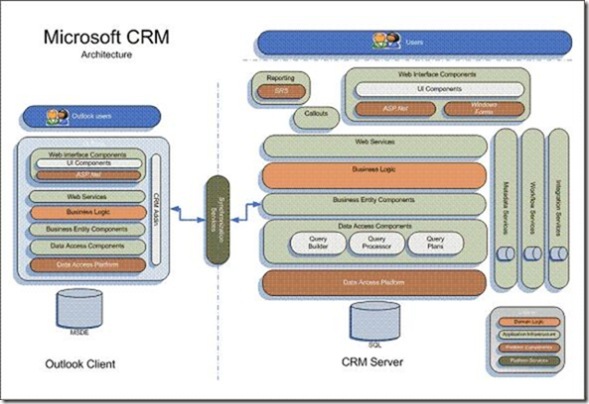 The platform is the heart of the Microsoft CRM system. When you use the Microsoft CRM Server Programming Guide, you are building on top of this system. The Microsoft CRM platform supports smaller deployments and can scale for application service provider (ASP) models as well. The focus of the security model is protection of the platform from unauthorized access across the Web. When you develop an application using the Microsoft CRM server, you use Web services to communicate with the underlying platform layer.